ME. WANT. COOKIE. 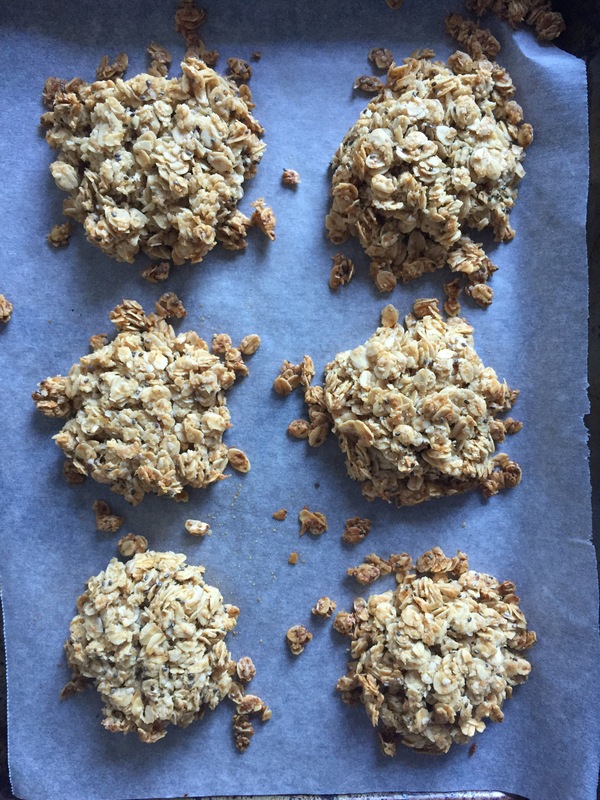 Although I think the Cookie Monster’s flavour of choice might have been choc-chip, I’ve done a few rounds of taste testing of these cornflake cookies & think they might pass the test…. allow them to cool on a rack – or just eat them still warm! I love the tradition of baking ANZAC cookies. Today was a matter of what I had in the pantry to make a new version. They got a big thumbs up from my sons so I am thinking they would also be a good treat for school lunchboxes. 1. Stir together all ingredients in a mixing bowl. 2. If the mixture isn’t coming together easily, put it in the fridge for 15 minutes. In the meantime, turn the oven to 160 degrees. 3. The mixture is quite sticky – form into 8 cookies. Cook for 15 minutes. They start to turn a little brown on the outside when cooked. 4. When you remove them from the oven, let them cool entirely before removing them from the baking sheet.